Ashley Loves Books: [Guest Post] Steven Parlato, author of The Namesake! [Guest Post] Steven Parlato, author of The Namesake! The Namesake begins when Evan is asked to "write about what he knows" for college essays, by teachers sure that such a gifted artist will get a full scholarship. What Evan knows is not as much as what he doesn't know, however. He doesn't know why his father chose to hang himself on Easter morning while he and his mother were at church, and what the secrets of a small town can tell him about his father . . . and himself. Hoping to finally uncover the truth, Evan and his best friend, Alexis, dig into the town's past only to discover it's dark roots . . . and that some secrets are best kept hidden. Happy Release Day to The Namesake and Steven Parlato! Released by the new YA imprint Merit Press, trust me when I say The Namesake is intense and mysterious and you will not want to sent it down the moment you realize what Evan is uncovering. Please enjoy the guest post below from the author, and make sure to check out The Namesake! As a poet, I tend to be leery of explanations; often that perfect last line is my desperate attempt to guarantee the reader gets it, that the message is clear. In such cases, I hear the voice of my dear friend and teacher, Edwina Trentham, advising me to "Trust the poem." Almost always, that perfect last line gets cut. So discussing the life lessons of my novel, The Namesake, is a challenge. I'll mostly leave it up to my characters to dole out the lessons, trusting my readers to find those they need most, learning them alongside the main character, Evan Galloway. Still, without dictating meaning, I can say The Namesake, to me anyway, is a novel of faith, forgiveness, and love. While religion, Catholicism specifically, plays an important role in the story, faith takes a broader meaning. Faith -- in self and in relationships, as well as in God -- drives the plot. Ultimately, although he questions, Evan realizes that, without faith, life at its core is empty. Another colossal lesson Evan learns from his doomed father is that forgiveness, that most precious gift, is supremely difficult to grant oneself. The scene where Father Brendan discusses forgiveness and love was a very poignant one for me to write. It's probably the closest I get to an overt message, and it still has the power to make me emotional when I read it. Maybe that's because it's a hard-won lesson for me as well. Without seeming like I'm channeling Celine Dion, I have to say The Namesake is also about the power of love. Evan finds, through its loss and through what remains, just how essential love is to existence. He also recognizes that where there is love, there is, inevitably, unimaginable pain. Significantly, he comes to realize that this coexistence of love and loss is symbiotic. As Evan puts it toward the end of the book, ". . . the bad stuff seems important in a new way. Like part of the recipe: the bitter lemon that makes the coconut sweeter." One of my working titles for the novel was actually The Sweet Bitter, but perhaps I was being both too vague and too obvious. Personally, writing The Namesake has taught me lessons of faith, of persistence, and of trust. There were many stumbling blocks along the road to publication, yet I knew I owed it to these characters to tell their story. There were moments of great doubt that I could do justice to the book, and I often battled that loud inner voice telling me this story didn't matter. I found affirmation in the faith of others: my wife, Janet; supportive family members; good, honest friends. They believed when I didn't. And I found strength in Evan -- he's just so freaking persistent -- to continue, even at the lowest points. I came to trust that the story was there, that it needed to be told, and that I was, in fact, the only one who could tell it. The Namesake took me to some pretty dark and unexpected places, but with faith, I uncovered truly important lessons about writing, about life -- and about myself. Now it's time for you, reader, to find lessons of your own. Feel free to share them with me. Steven Parlato, author of The Namesake, is a writer, illustrator, and an English professor. His poetry has been featured in Borderlands, Freshwater, Connecticut River Review, Peregrine, and Pirene's Fountain, and he is the winner of the 2011 Tassy Walden Award for New Voices in Children's Literature. He lives with his family, and is at work on his next novel. The Weekly Wrap-Up (22)...on a Tuesday. Monthly Reads: January 2013! Happy New Year! 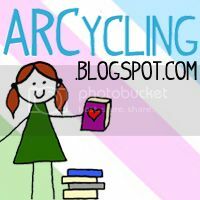 Clear-Your-Shelf Giveaway Hop: A Box of YA Books!